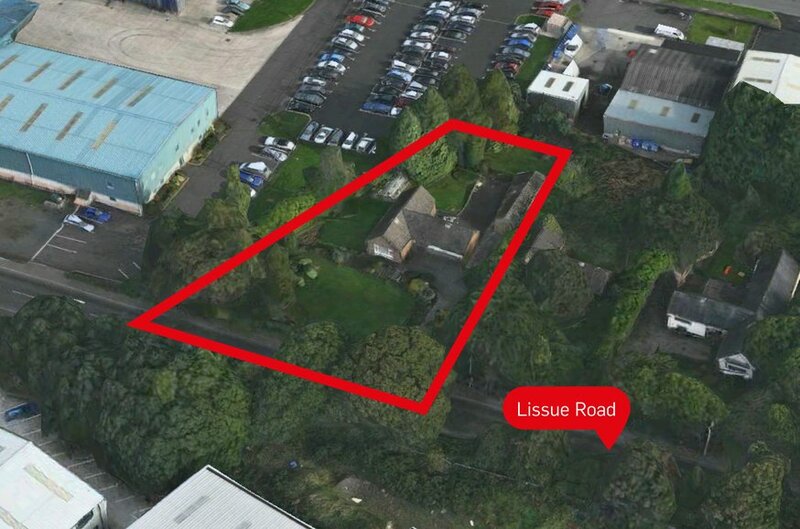 The subject property is located on the Lissue Road, on the outskirts of Lisburn City Centre. The road is accessed from Moira Road to the south and Ballinderry Road to the north. 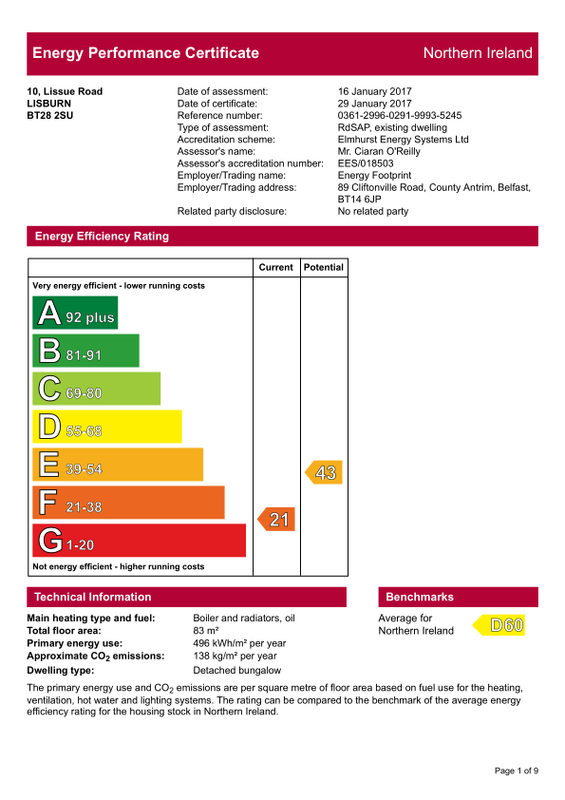 The subject property is located approximately 2.1 miles from the City Centre and 13.3 miles from Belfast City Centre. Lisburn is a popular commuter city, offering easy access to Belfast, Newry, Portadown and Lurgan via the M1. 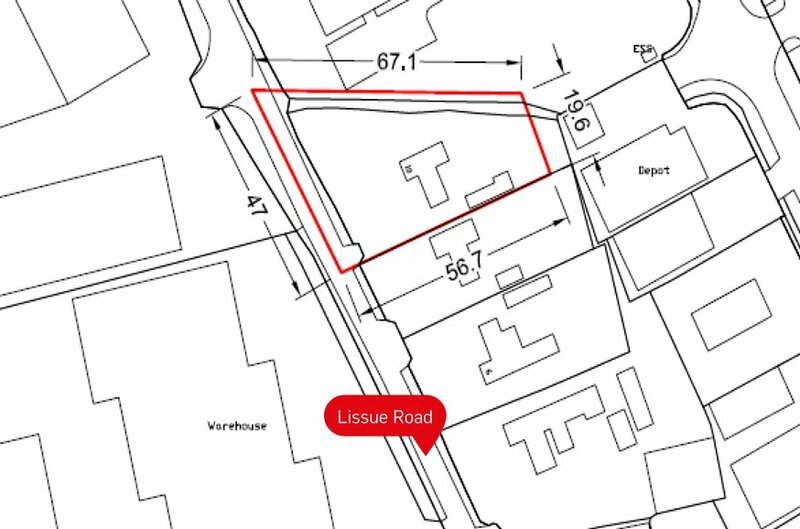 The land abuts Lissue Industrial Estate and is close to Knockmore Industrial Estate and Knockmore Business Centre. The subject property comprises a ‘T’ shaped bungalow constructed in red brick with a pitched tile roof. There is a detached, single storey garage with a workshop area which is also constructed in red brick with a pitched tile roof. 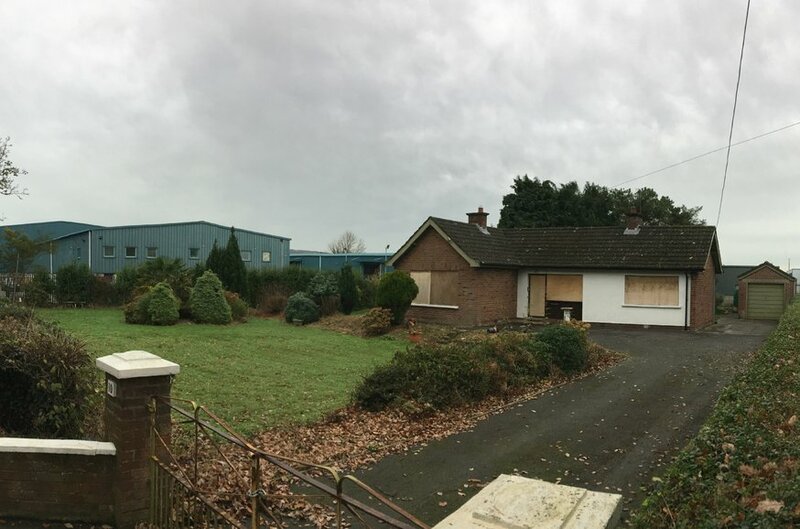 The property sits on a site of c. 0.40 acres. The site is largely of triangular shape and is accessed via Lissue Road. There is a large tarmaced driveway to the front and side of the dwelling which has the capacity for multiple vehicles. The site is of even topography and is well bounded by hedges, shrubs and gates to the front. We are not aware of any live planning applications or consents on the site. We have reviewed the local area plan; Lisburn Town Centre Local Plan 2000, and understand that the subject property is located within the Lisburn development limit and is listed as ‘Land zoned as Existing Employment’. The immediate area is in primarily industrial use, however there is existing residential use adjacent. Offers around £200,000 exclusive are invited. VAT is not chargable on this asset.